When I arrived in Japan, I said to myself that this travel is something that I'm gonna be talking about for a long time. True enough, four months passed and I am still missing the country. I am itching to go back! 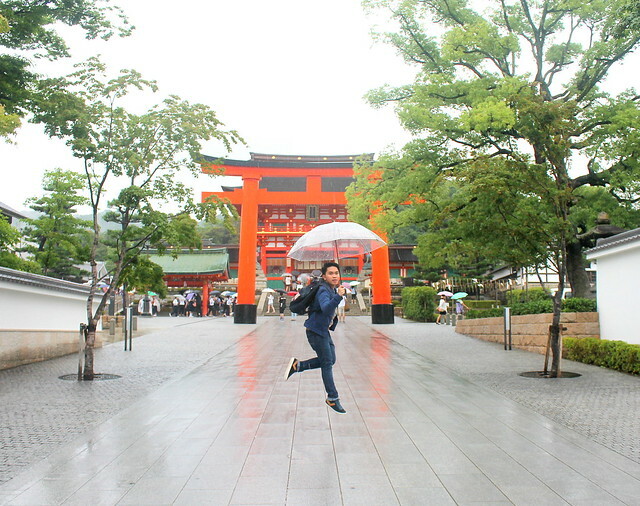 What got me excited when I visited the sites in Kyoto are the memorable scenes from the movie "Memoirs of a Geisha". Everything in that film is just beautiful which made all the places that I've visited extra special. 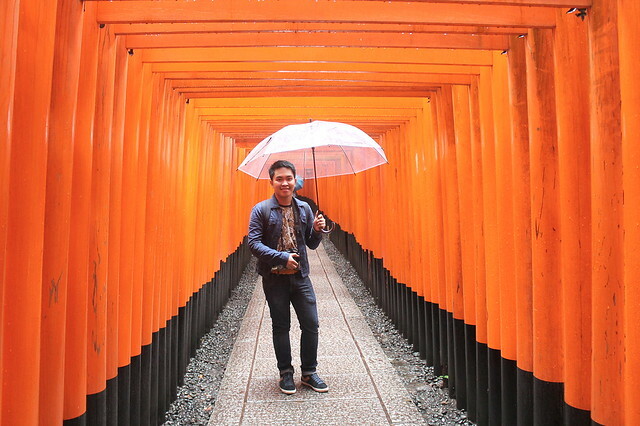 In postcards, I'm sure you've read about the beautiful Kyoto district of Arashiyama. 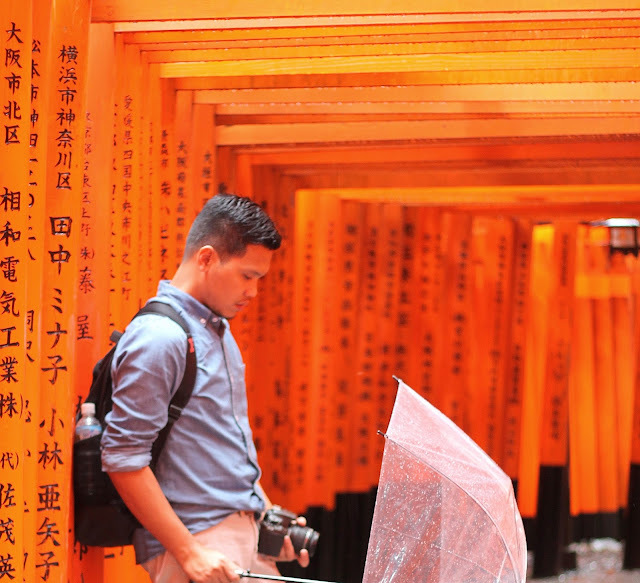 The district is home to a lot of tourism gems but one of the most photographed perhaps is the Fushimi Inari-Taisha or the Inari Shrine. 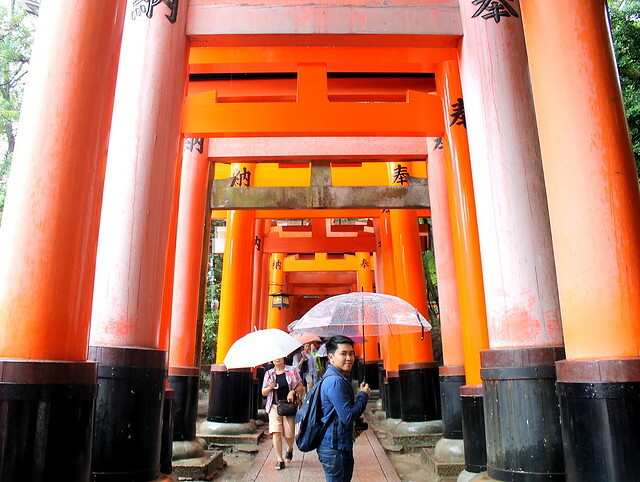 Inari is the goddess of rice and the structures erected to her honor are more than 500 years old. 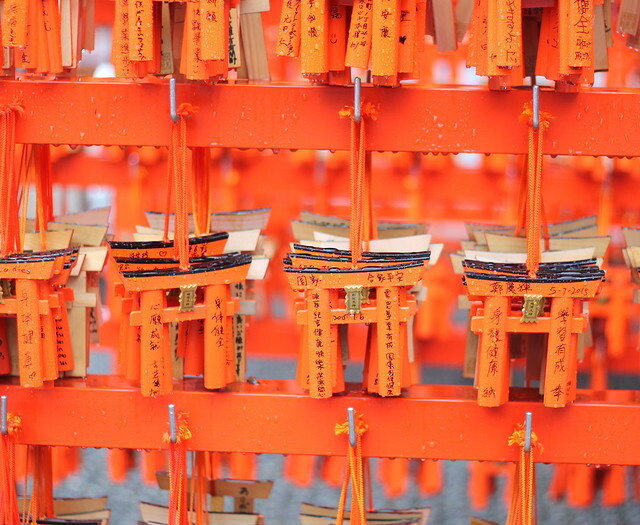 The shrine itself was founded in year 711. 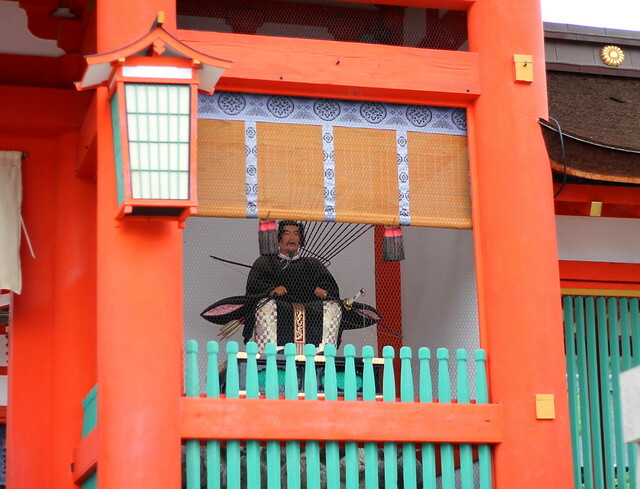 What's Kyoto without a geisha? 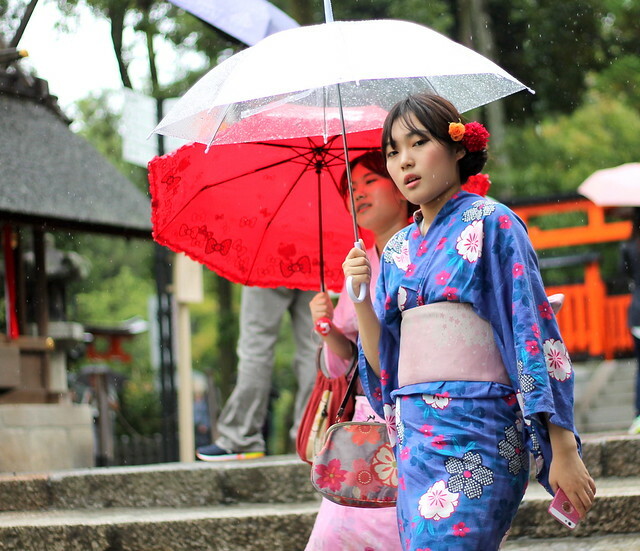 Although it's amazing to see them, these beautiful girls aren't real geisha. They are Korean tourists dressed like the traditional Japanese hostesses. 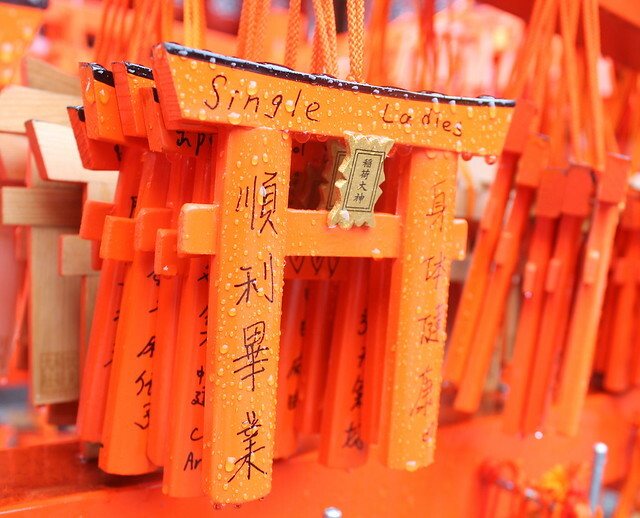 These tiny Torii-shaped thingies (A Torii is a traditional Japanese gate) are sold for a few Yen. 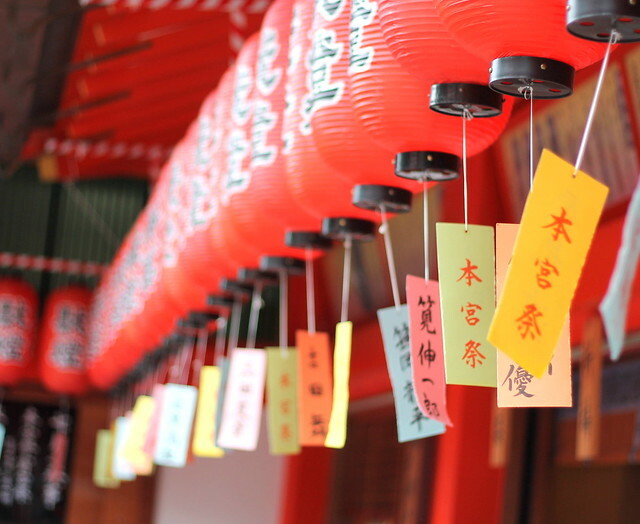 Tourists write their wishes and hang them on a larger Torii-shaped structure. We were told that they are not removed for at least a year. For the record, the one pictured above isn't mine. LOL! The young Zhang Ziyi in "Memoirs of a Geisha'' had a 5-second sequence running here when she was trained to be a geisha. 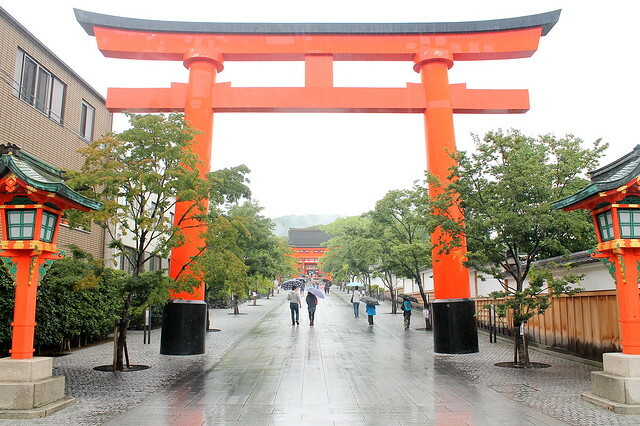 This Torii path leads to the inner shrine. 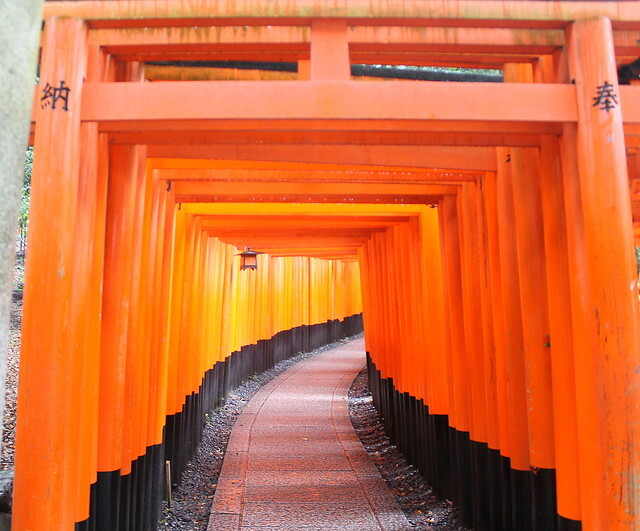 Fushimi Inari-Taisha is located at base of the Inari mountain but don't be under the impression that you need to hike on your way there. 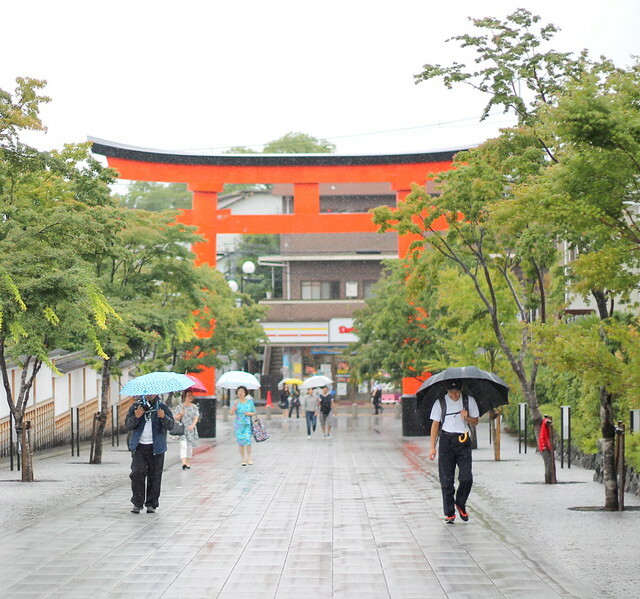 Just two train stations from the central Kyoto station and you'll have a glimpse of these historic orange structures. A five-minute walk from the Inari station and you'll be welcomed by your fellow tourists and if you are lucky, by a geisha. 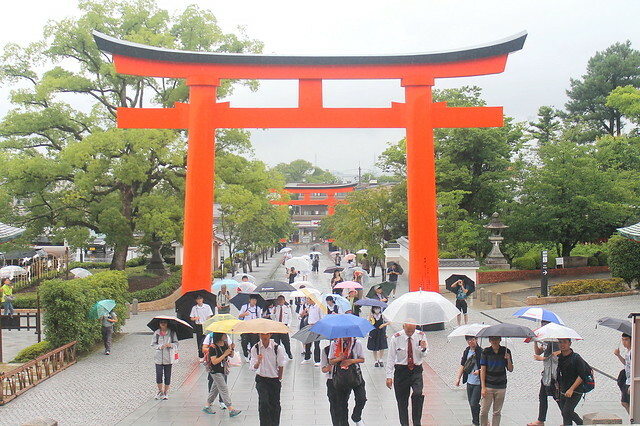 Entrance to the shrine is FREE! 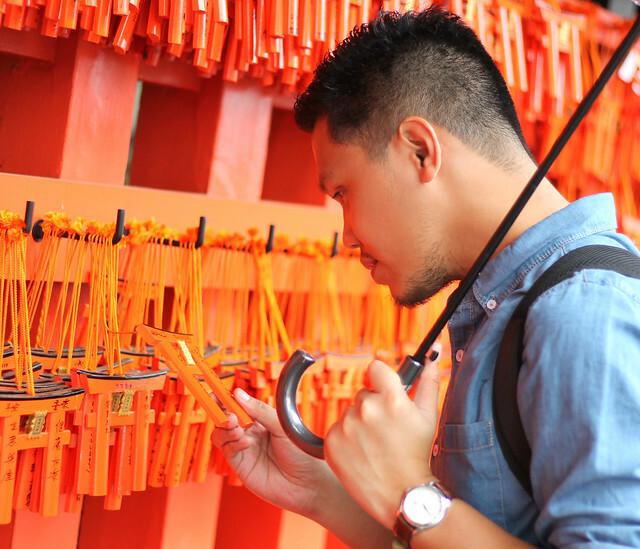 What they need from you is to be sensitive to other tourists. 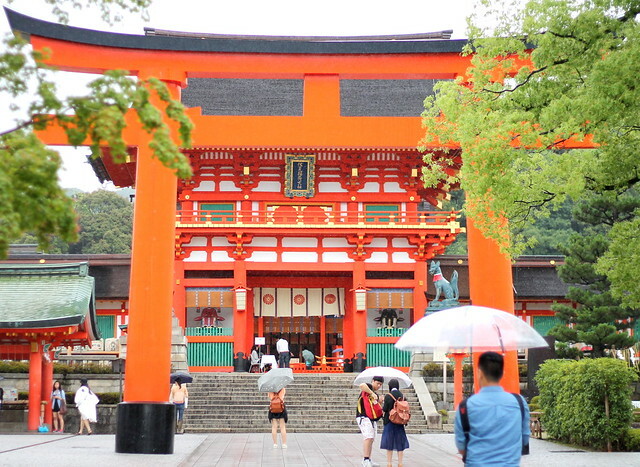 The beauty of the place can be overwhelming at first but the team maintaining the shrine would love to keep the grounds as sacred as possible. 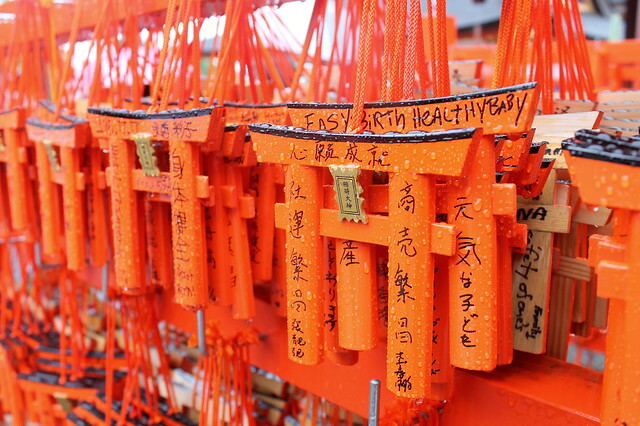 Although packed with tourists, locals come here to actually pray. Thus the need to keep the place quiet. 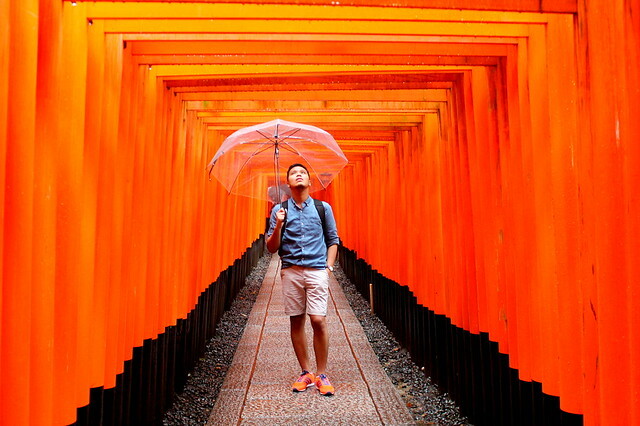 Ironically, it rains often during Summer in Japan. This was out third day in the country and it was raining every day. People here can't survive without an umbrella.